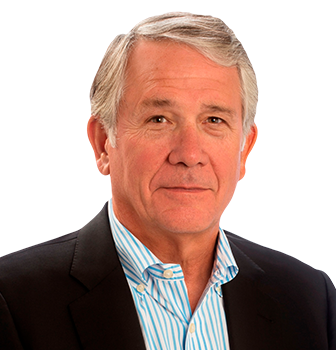 Geoff Champion is Chairman & CEO and founding partner of our firm. He is a true internationalist having lived and worked in Korea, Germany, Holland, London and throughout the United States. Geoff’s industry experience entails working at the most senior “C” levels for large scale and middle market companies in the United States, Europe and Asia. He has conducted board, CEO and senior executive appointments for leading edge companies in the digital media, business to business services, telecommunications, consumer, educational services and financial technology sectors throughout the world. His extensive international experience and North American heritage have allowed him to successfully develop client and firm wide relationships based on a comprehensive and unique understanding of the critical success factors for building and growing businesses globally. Prior to his career in Executive Search, Geoff was the Executive Vice President of Client Sales & Service for the AC Nielsen Company. He was responsible for leading Nielsen’s client sales & service activities and working with FMCG clients globally to implement integrated marketing information, software and analytical solutions for the sale and marketing of consumer goods. Geoff also held positions with Dataquest as the Vice President & Managing Director of Europe, Senior Vice President – International, and finally as the #2 executive in the firm responsible for all business and consulting operations worldwide. In these roles, he worked closely with Japanese, Korean, Taiwanese, European and U.S. companies to develop their market and global business strategies. Prior to Dataquest, Geoff held senior management roles at McDonnell Douglas Information Systems focused on developing solutions for the telecoms, manufacturing and financial services sectors in the United States, Europe and Asia. Prior to co-founding ChampionScott, Geoff was the President of Advanced Technology Practice of Korn/Ferry, the world’s largest retained executive search firm. He also served as the Chairman of Korn/Ferry’s eBusiness strategy and business development. Born in Philadelphia, Pennsylvania, Geoff graduated from the United States Military Academy at West Point, New York. While serving in the U.S. Army, he was an infantry officer and army aviator based in Asia and the United States. Geoff’s post graduate education includes the Executive Institute at Stanford University and the Management Centre, Europe.